It’s the end of the road for Animals. 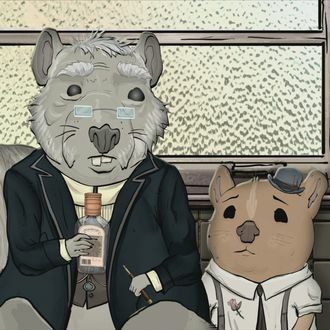 According to Deadline, the animated series co-created by Phil Matarese and Mike Luciano and executive-produced by the Duplass brothers will not return for a fourth season. The most recent season — which featured the voices of guest stars including John Mulaney, Tracy Morgan, Edie Falco, David Harbour, Lauren Lapkus, Kate Berlant, and more — premiered back in August and wrapped up its ten-episode run earlier this month.